You usually have the contrast medium by injection and also as a drink. This helps to show up the gut (digestive system) more clearly in the scan. For some brain scans, you might have an injection of the contrast medium dye beforehand to make the scan clearer. You might have an injection of the contrast medium during the scan. This is to help show up the tissues close to the area containing cancer, for example, blood vessels. It may help to show whether cancer can be removed with surgery or not. Occasionally, for a rectal scan, you need to have an enema of contrast medium. This shows up on the x-ray and makes the outline of the bowel show up more on the scan. It might make you constipated. Your first couple of bowel motions will be white, but there are no other side effects. 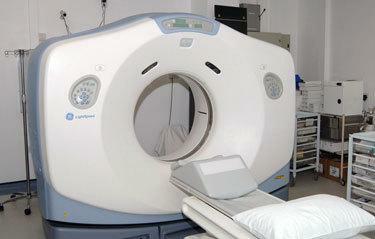 You might have a very detailed scan of the bowel called a CT colonography (or virtual colonoscopy). If you're having one of these, you will be asked to clear your bowel by taking strong laxatives, drinking a special liquid with meals and following a special diet about 2 days before the test. Your doctor or nurse will tell you about this. You might also have a medicine to slow down the normal movement of your bowel. This movement (called peristalsis) can change the scan and make it more difficult to read.